A light easily absorbed, oil free brightening fluid that is perfect for ladies who dream of bright and rosy glowing complexion. The formula harmoniously blends together herbal extracts to visibly and effectively hydrates, moisturises & lighten your skin while miraculously retains its youthful appearance. Arbutin promotes radiance skin, prevent the appearance of age spots and improve skin tone. 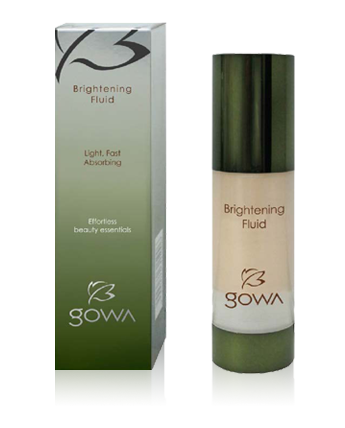 Gowa Brightening Fluid helps brightens skin yet feel light and natural under your make up. Apply in the morning & evening, after basic skincare toner. Pump a bit onto finger tips and dab it evenly over all the face.